“I think what made our wedding so wonderful was the way our family and friends surrounded us with love, support, and joy. Our wedding would not have been nearly as special or meaningful without them. Megan’s aunt Jill and uncle Ed hosted the whole thing at their amazing home in Santa Paula, CA. Ed was also deputized for a day (woohoo California!) so he could perform our ceremony. We also had lots of people arriving early to come help out in so many ways. Our DIY elements were actually “DIT” (do-it-together, a term borrowed from A Practical Wedding, one of the most helpful and sane books/websites on wedding planning) thanks to the generous contributions of so many. One detail I loved was we asked guests to share a favorite quote about love or marriage on their RSVP cards–then our wedding party each chose one to read aloud at the ceremony, and we scattered all the other cards around the reception tables. Joe (a musician) carefully curated the playlist so that we could use an iPod for dancing, after his friend played the piano during the ceremony. Joe also played guitar while Megan walked down the aisle–I think that song still brings tears to our eyes when we hear it! Megan’s grandma Rose made her veil based on a picture. A dear friend made our delicious cake and cupcakes, and our topper had been an engagement gift, all the way from an artisan fair in Strasbourg, France. Joe’s mom, a terrific chef, made our entire rehearsal dinner. We had a whole crew of ladies working on the flowers the day beforehand–we had collected glass jars all year long, bought a TON of flowers wholesale, harvested dahlias that came from Megan’s grandma Jean’s bulbs (she passed away shortly before the wedding, so it felt like she was still kind of there with us), and went crazy with them all! The wonderful colors allowed us to keep the rest of the look simple: white candles, kraft paper runners (so cheap! ), and white tablecloths. Another dear friend who used to work in a flower shop made exquisite boutonnieres, while a family friend did the bouquets. During that time another crew set up the lights, the bunting flags sewn by Megan’s aunts, the tables, the chairs, etc. We served Ben & Jerry’s ice cream because that was where we met. Finally, our superstar friend Kate acted as our day-of coordinator. We did the beforehand planning, then met with her to go over timelines and everything, and passed off the magic clipboard. She pretty much ran our rehearsal and wedding day, to make sure everything went off smoothly. Even if you can’t afford to pay a planner, I highly recommend having a dependable, organized point person like Kate. We are eternally grateful for the love and support of our nearest and dearest, for all these reasons but also for a million more. Doing all this “prepwork” surrounded by so much love made it really enjoyable, and provided us the opportunity to spend some of the best quality time with our family and friends, many who had traveled from other states and countries. People say your wedding day goes by in a flash. It does! And that was why we cherished this time with them. My advice to other brides and grooms is to always try to remember the big picture, even when (or especially when) things get stressful. At the end of it all, if you guys are married to each other, then the day was a success. This was my mantra! It allowed me to let go of silly stuff (oh, we forgot to rent forks? oh well! ), particularly on the day of the wedding, and just soak up every little moment. I’d also recommend that you think about which traditions matter–or don’t–to you as a couple. 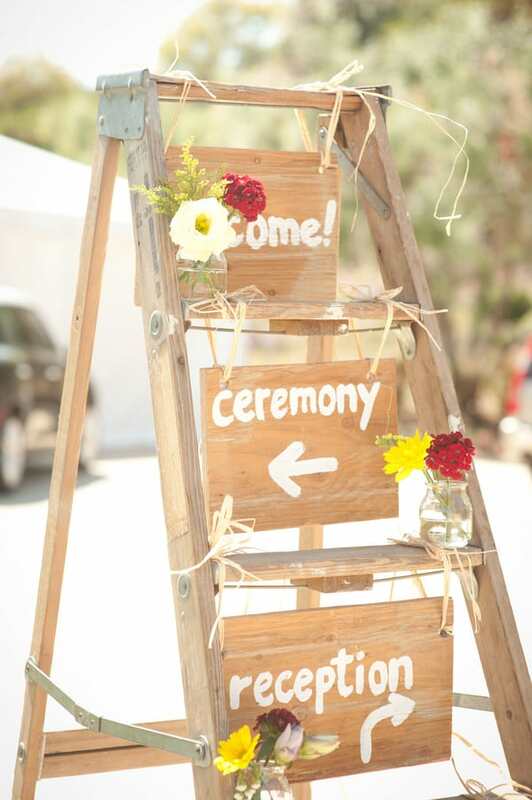 Forget the wedding industry and just plan a ceremony and a party for you and your people. Also, remember: Do It Together, not Do It Yourself! I’m totally in love with the ethos of this wedding, like Megan said, if at the end of the day you’re both married to each other then the day was a success! Remembering the big picture is so important. I love that everyone came together for this wedding. It really showed in the pictures. I loved the quotes idea. So sweet.